After crashing his ship, and being tossed overboard, Columbus sees a beautiful apparition reaching out to him. Waking up on a mysterious island, Columbus begins to explore his surroundings and stumbles upon ancient treasures and perplexing puzzles. 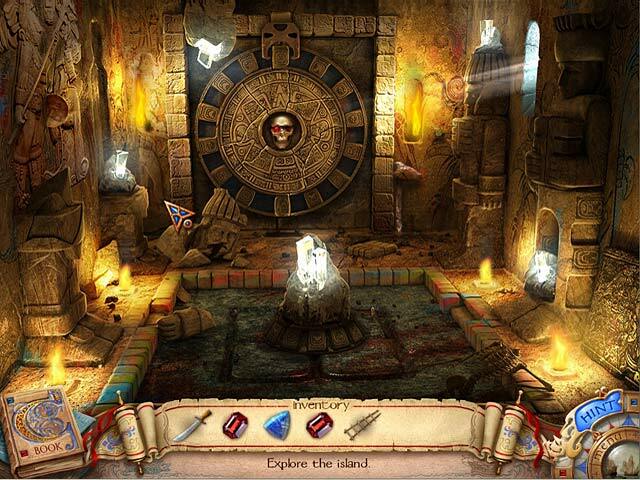 Find important items that will help you move on in Columbus: Ghost of the Mystery Stone, a fun Hidden Object Puzzle Adventure game. Wow!!! What a superb game!! !I was so much into the game, the graphics, the story...it has some challenge but you don't need to use so many hints. LOVE IT!!! I played 3 good games in a row this week (I'm playing by purchase date order) and I'm still playing the ones I bought in October 2010. Big Fish Games is the best bringing us so much joy!!! 9 Chapters. Fairly easy game with a few challenges. A little over 3 hours on casual (but I may have not counted a half hour). STORYLINE: Felipa?s life-force (trapped in stone) has raised Columbus from the dead after the Pinta?s been caught in a storm. But he must release her spirit by the next full moon or he will die and Felipa will stay forever in the stone. 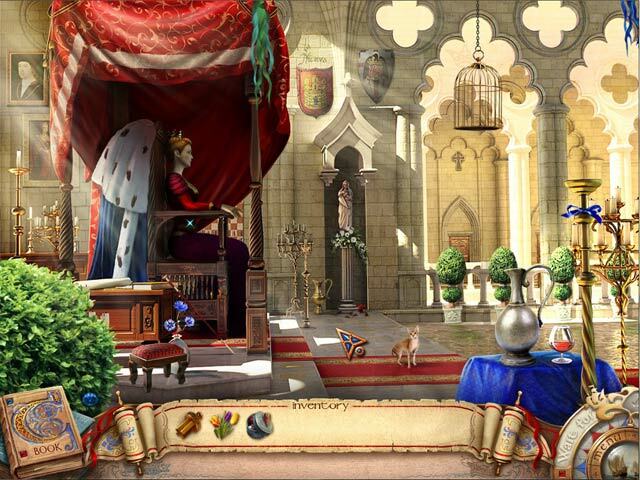 To release her, he must complete an amulet after first fixing the Pinta and traveling to Corsica, France, and Spain, also visiting the Queen and a market, to complete several tasks and to gather the parts for the amulet. He makes it just in time. GAME PLAY: Nice-sized beautifully detailed and brightly-colored HOS (so objects aren?t too difficult to find). Besides interactive HOS, there are FRAGS which are clearly distinguishable. Proper proportion of HOS to FRAGS. Linear play - you have a task list that tells you the next thing that needs to be done. 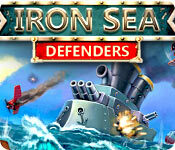 Various puzzles and mini-games, becoming more challenging as the game progresses. Lovely scenery and WONDERFUL/RELAXING background music!!! A different (supernatural) take on the Columbus story . . . The artwork is very lovely & clear, & the music, though not altogether historically accurate to the 1490s, is mostly pleasant . . . 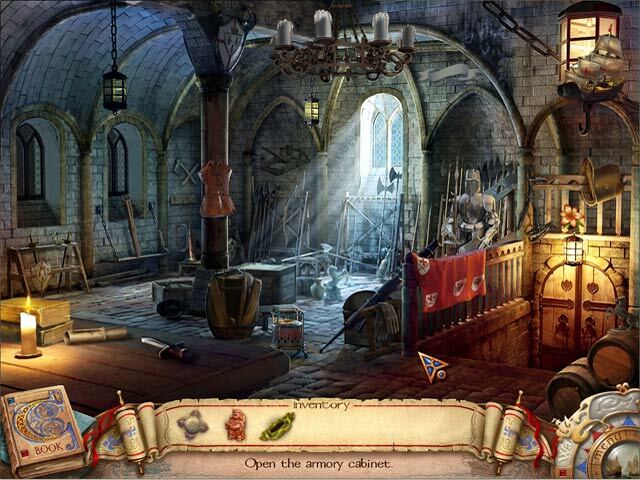 Though fairly routine, some items are difficult to find in the hidden object scenes, which makes them appropriately challenging . . . Similarly, the puzzles are moderately difficult, with a couple of them being of a particular challenge . . . The story mostly makes sense, & as the game play is broken up into chapters, all of the going back-&-forth is contained to whatever chapter you are playing at the time . . . The length of the game is of medium duration, so it makes for a fun game to play in an afternoon or so . . .
this game is a lot a fun and i love playing it that is why i bought it . This game was enjoyable for all the reasons already mentioned by other reviewers. To sum up my experience of the game: It was full of HO's, but there were also 'fragmented objects' to vary things. The artwork and graphics were clear and appealing. The storyline, although with possible dire outcomes, was light. The sequencing was logical and easy to follow. This game was good> I didn't give it 5 stars because there weren't enough puzzles and the puzzles that were there weren't hard enough. But, the visuals were great, the music was good and the story line kept me interested. It was a refreshing change from the bloody, spooky games. RELAXING, FUN, CREATIVE - EXPLORE WITH COLUMBUS! 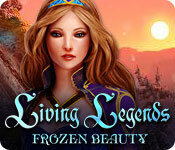 Five stars for relaxing storyline, graphics, music, puzzles and hidden objects that can actually be found. Scenes complement story and surroundings. Christopher Columbus becomes stranded on an island. Markings suggest possibly Mayan Culture. I play lots of frantic time-limited games and, lately, truly scary games. This put me at ease. Purchased Enlightenus II for same reasons. Loved it! Not hard but had to use hints sometimes but refills pretty quickly. Interactive with lots of things to do and accomplish. No puzzles, just hidden objects but nothing was abstract like a hat was a hat, not a baseball cap. Music not intrusive but rather calming Graphics are clear and pretty easy to see, but a few things were hard to see that's why I had to use the hint a few times. Lasted a goodly amount of time (sorry but I forgot to actually time it) around 4 hours or more. Colors were really pretty and scenery was really, really nice to look at. I have played this twice already spread out over a good while. Not difficult to get around, instructions are very well written and easy to follow. I have SE version. I believe most everyone will truly enjoy this game.